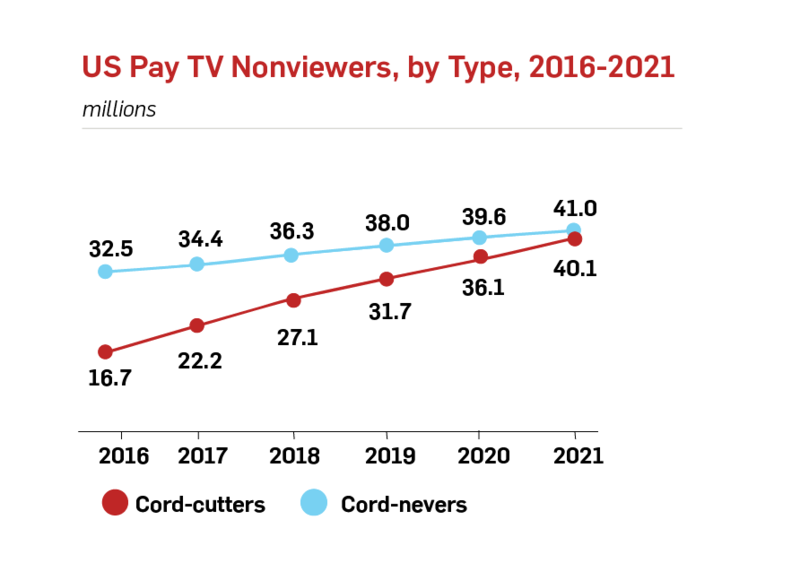 By 2021, there could be almost as many cord cutters as cord-nevers in the U.S.
U.S. TV viewers are cutting the cord even faster than anticipated, according to eMarketer, which is reducing its estimates for U.S. TV ad spending. This year, U.S. TV ad spending, which includes live TV and video on demand, will be up just 0.5 percent, to $71.65 billion, according to the firm. That’s down from the $72.72 billion it predicted earlier this year. 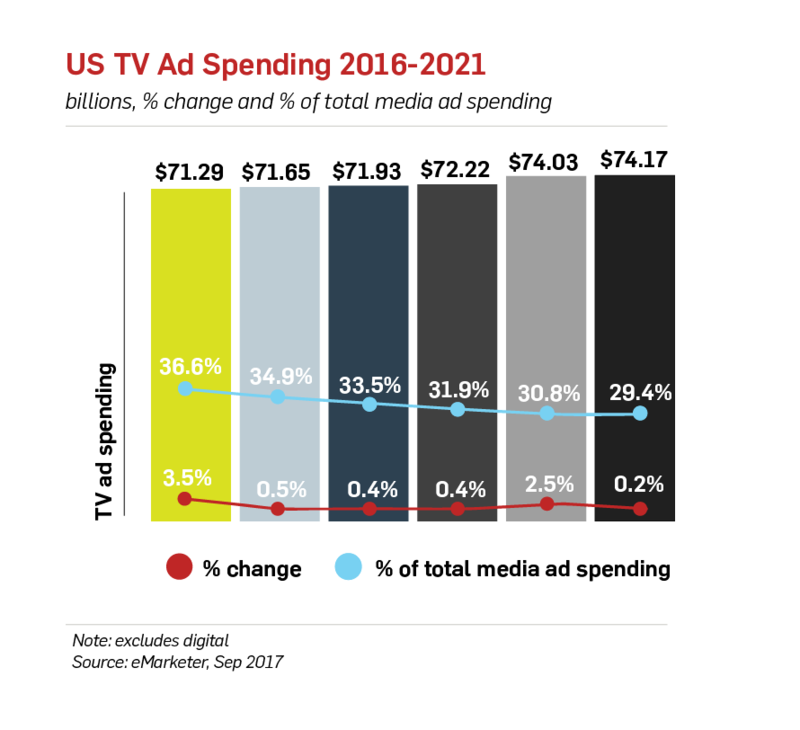 As a result, TV’s share of total media ad spending in the U.S. will decrease to 34.9 percent, with eMarketer estimating that the share will drop below 30 percent by 2021.
eMarketer has also increased its estimates for cord cutters from 2017 to 2021 and predicts that by 2021, the number of cord cutters will nearly double—from 22.2 million in 2017 to 40.1 million in 2021—and will almost be the same as “cord-nevers,” people who have never subscribed to cable or satellite. These findings shouldn’t come as a surprise to the industry. During the Television Critics Association’s summer press tour, each of the five broadcast networks pushed back against the narrative of declining linear ratings. They insisted that their networks are in fact stronger than ever thanks to their dominance on digital platforms, where many of their shows double their audiences in delayed viewing. Yet, the execs were far fuzzier on specifics about monetizing these robust digital audiences, as the bulk of ad revenue continues to come from linear viewing. According to the firm, there will be 22.2 million cord cutters ages 18 and up this year, a 33.2 percent increase from 2016. That’s a significant bump from the 15.4 million number it had previously predicted. The number of adult cord-nevers had increased 5.8 percent this year, to 34.4 million. This year, 196.3 million U.S. adults will watch pay TV, down 2.4 percent from 2016. By 2021, eMarketer predicts that total will have dropped another 10 percent, to 181.7 million. While the number of pay TV viewers ages 55 and up will rise, every other demographic will decline. 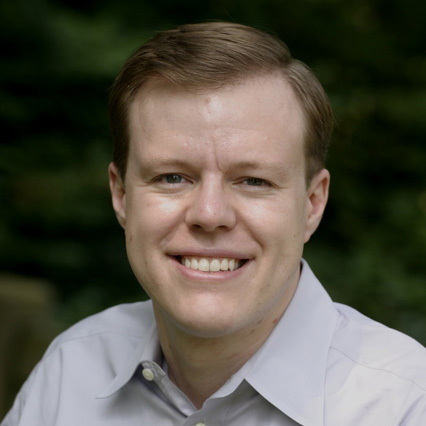 Paul Verna, eMarketer’s principal analyst, said in a statement that several factors have contributed to the acceleration of cord cutting. This comes as adults are spending 3.1 percent less time in front of the TV per day. They are averaging 3 hours, 58 minutes, and it’s the first time the average has dropped below four hours. But digital video consumption has increased; it’s up 9.3 percent this year to 1 hour, 17 minutes. The average time spent with video overall is now 5 hours, 14 minutes, which is one minute less than in 2016. 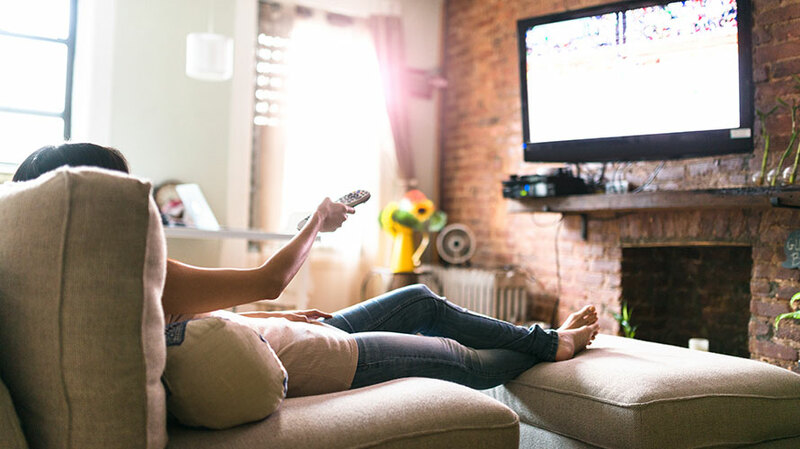 By 2019, according to eMarketer, adults will average 3 hours, 47 minutes per day in front of the TV and 1 hour, 26 minutes watching digital video.